Red clover improves soil fertility and structure better than most other green manure crops on heavier soils. As well as fixing a high amount of nitrogen the plants long tap root can penetrate deep into the soil strata to help create a more open structure . 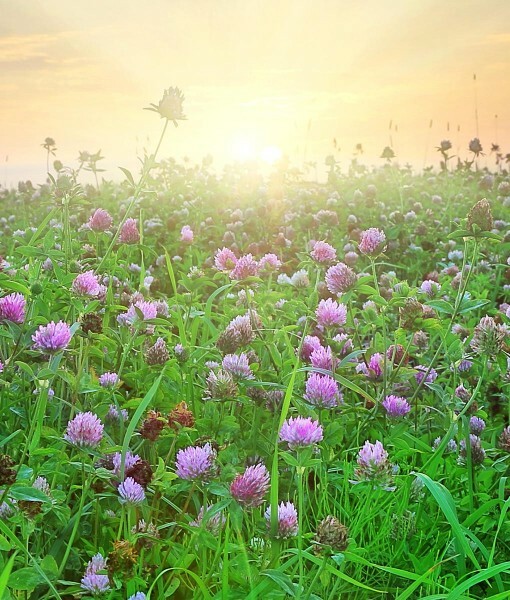 The red clover plants should be frequently topped before being dug in after a year or two. The decaying plant matter residue and the fibrous quality the vast root system will not only increase the soils organic matter content but create an ideal habitat to encourage worms and other burrowing creatures which can vastly improve surface water drainage. Sow on to a fine, well prepared, warm seedbed. Lightly rake over (whilst being very carful not to bury the seeds more than 5- 10mm) and firm the ground afterwards to insure good seed to soil contact.